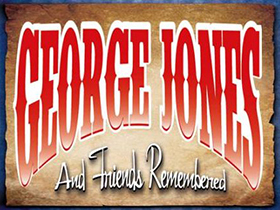 “George Jones and Friends” honors one of country music’s most beloved entertainers. The show stars first-time headliner, George Geisser, the talented steel guitar and fiddle player from the Patsy Cline Remembered band, The Re-Cliners. The likeness of Geisser’s voice to George Jones is uncanny, and he pays tribute with a genuine love for the music and respect for the man. The music of George Jones is as popular today as ever, and many of his songs hit the charts big, including several that claimed the number one spot, like He Stopped Loving Her Today. He also nabbed two Grammy Awards for Best Male Country Vocal Performance, and has two songs in the Grammy Music Hall of Fame, including his hit, She Thinks I Still Care.